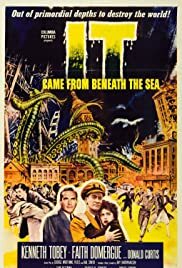 Ray Harryhausen wonderfully creates a giant octopus ravaging the Pacific Coast and then rooting itself in San Francisco Bay. The octopus is quite stunning and a marvel of stop-motion animation. Viewers are treated to it actually climbing on the Golden Gate Bridge(a model of course), squeezing a submarine, literally bringing a ship down to the depths, and throwing tentacles all over pedestrians in the San Francisco harbour. My only regret is that this is all too infrequent and most of it arriving at the end of the film. 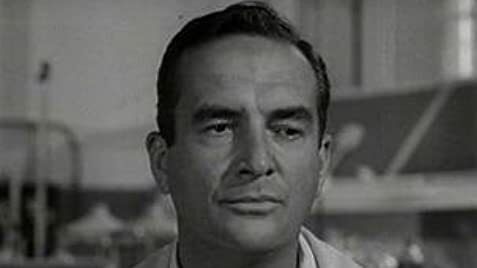 The rest of the story centers around Kenneth Tobey, Faith Domerge and Donald Curtis trying to discover what it is that held Tobey's submarine. There is also a weird love triangle among the three as well which enhances the story I believe. All in all this is a fine piece of classic science fiction entertainment.